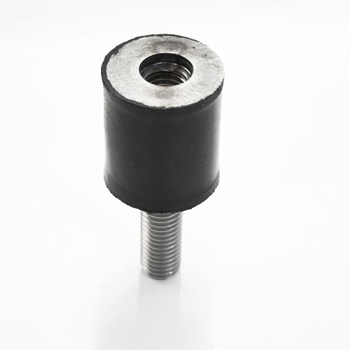 Anti-vibration elastic joint M12, useful to reduce vibrations and improve weighing precision. Applicable on SBxx series load cells, up to 2000kg. KSB2R Steel/rubber M12 elastic joing for SBX/SBK/SBT cell up to 2000kg. BLKM12 Nickel-plated steel M12 bush for SBH load cells.